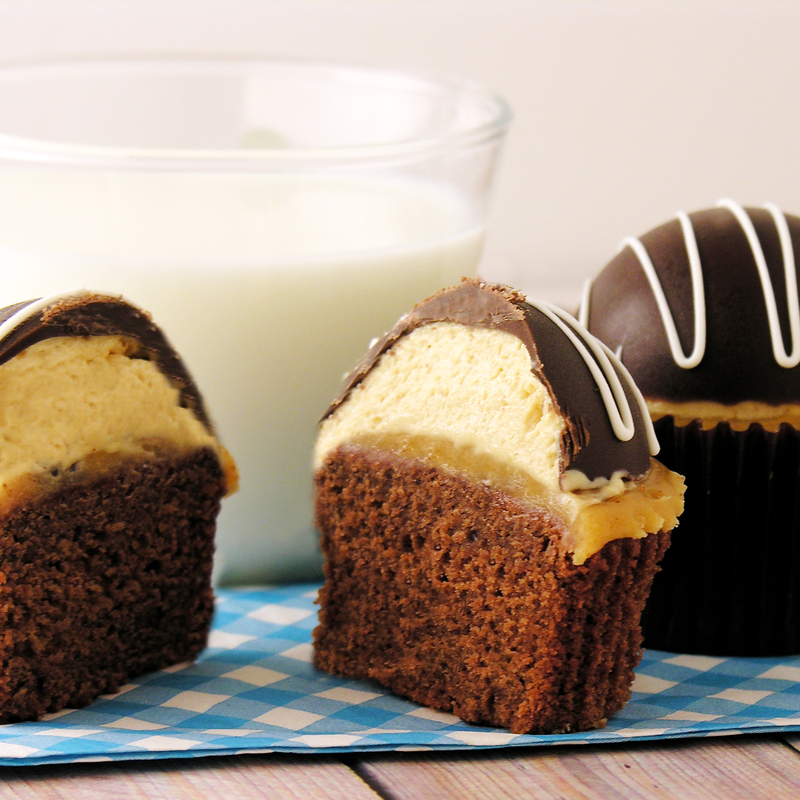 What could be more yummy than a chocolate brownie covered in creamy peanut butter ganache and topped with a chocolate covered peanut butter mousse bomb? 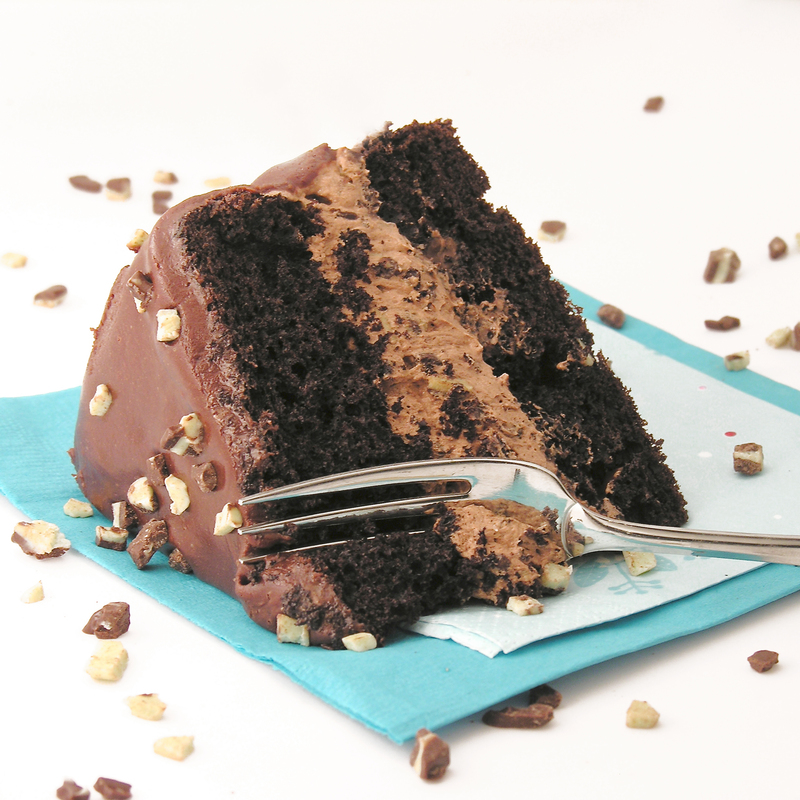 If you are addicted to chocolate and peanut butter, this dessert is for you! Chocolate and peanut butter are a timeless combination, and these brownies combine those flavors in such a fun way! The homemade brownies are dense, but not too rich. 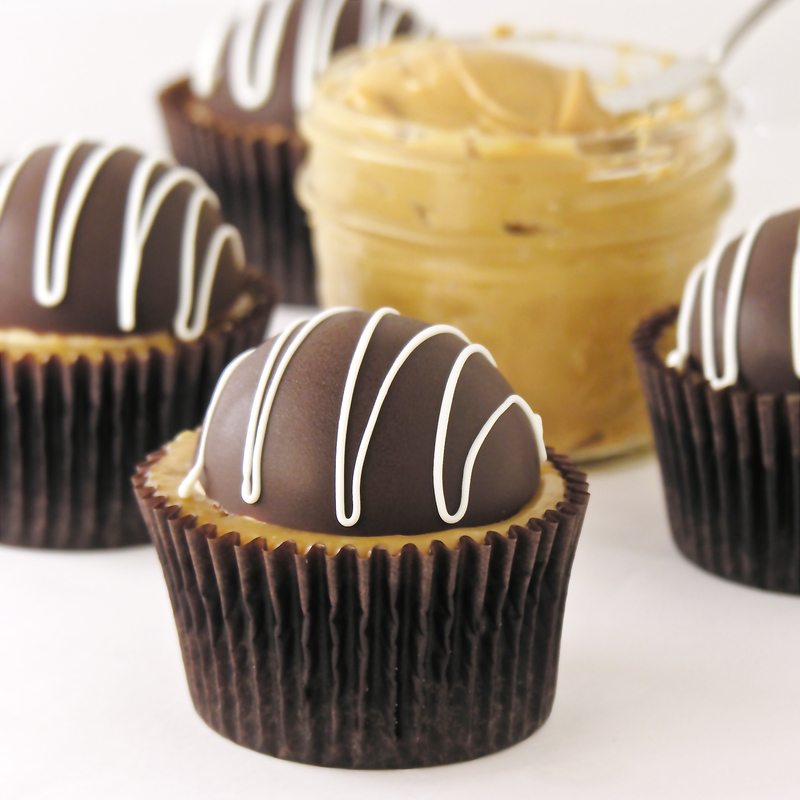 They compliment that sweet creamy peanut butter mousse perfectly and are such a pretty dessert! 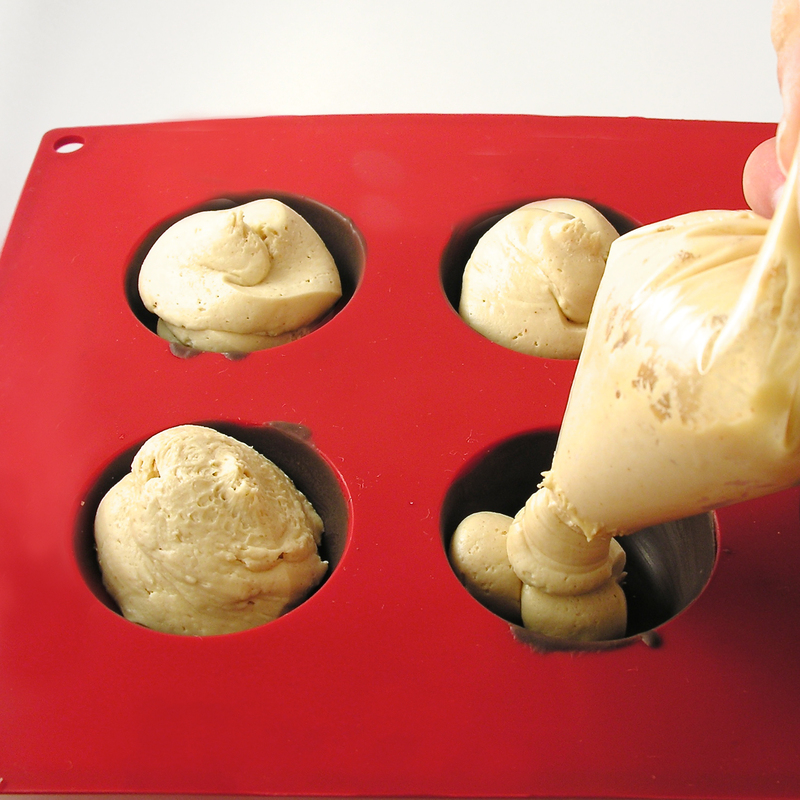 You will need a silicone bomb mold for this, and a brush for coating it in chocolate. I found both of these at a local cake-decorating shop and they were really inexpensive. Make these first, so they are ready to use once you need them. 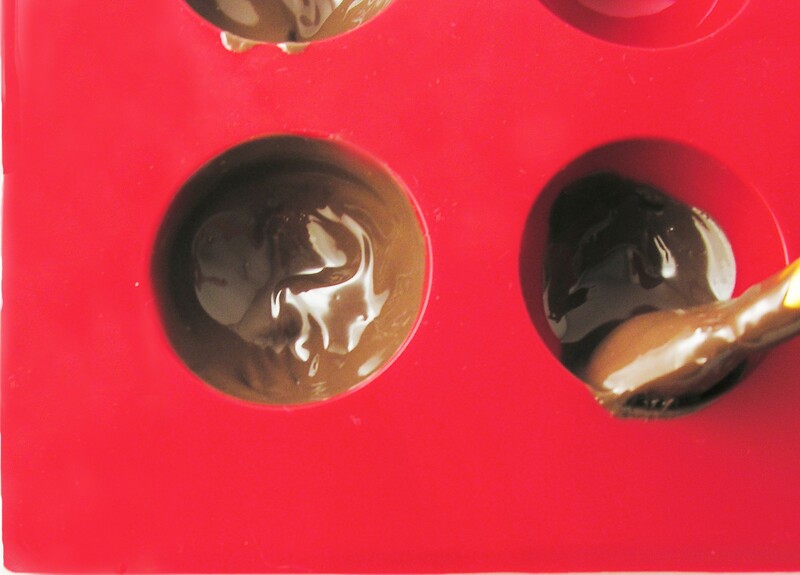 Melt chocolate candy melts in 30 second increments in the microwave, stirring between until melted and smooth. Use a brush (clean, food brush) to brush the inside of each cavity of the bomb mold with melted chocolate. Freeze for about 3 minutes and repeat, to give a nice thick layer of chocolate. Re-freeze for another 4-5 minutes. 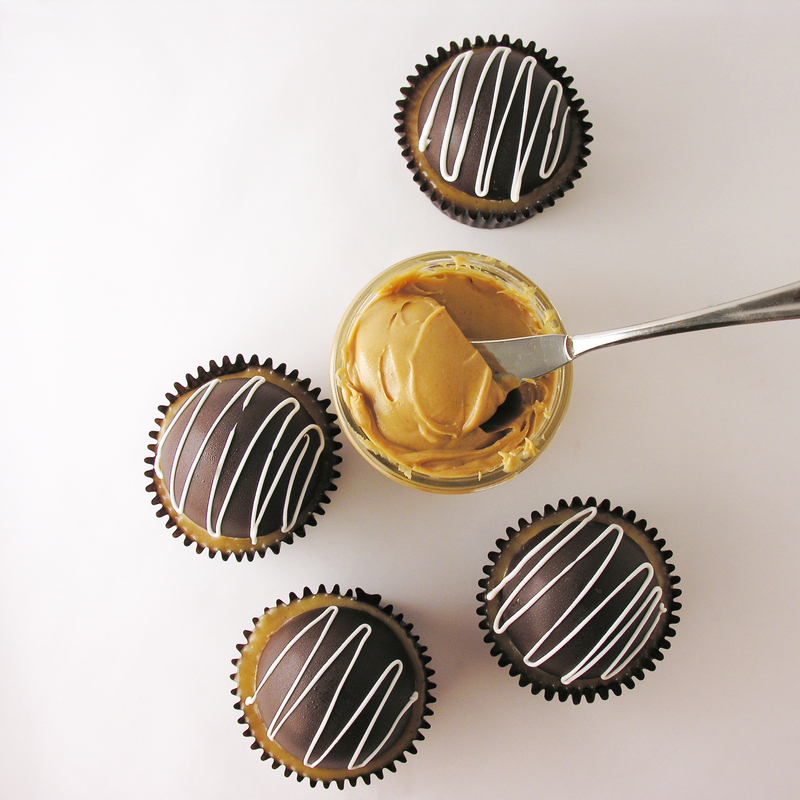 Make filling by beating together peanut butter, cream cheese and sugar. Gently fold in the container of whipped topping. Place filling in a large zip-top bag and keep in the fridge until use. 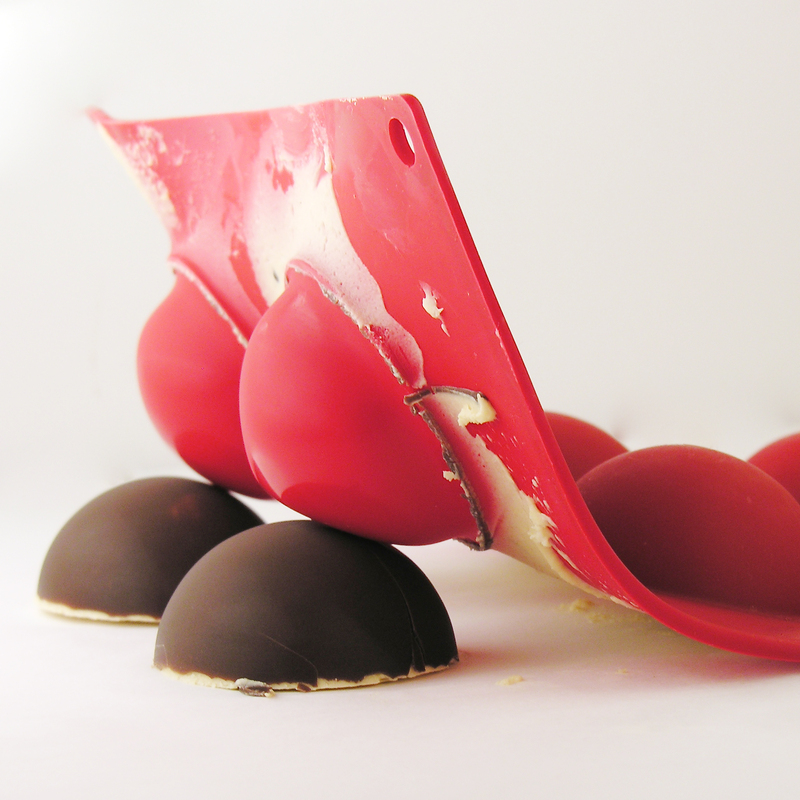 Cut a corner off the bag, and squeeze filling into each chocolate coated bomb mold. 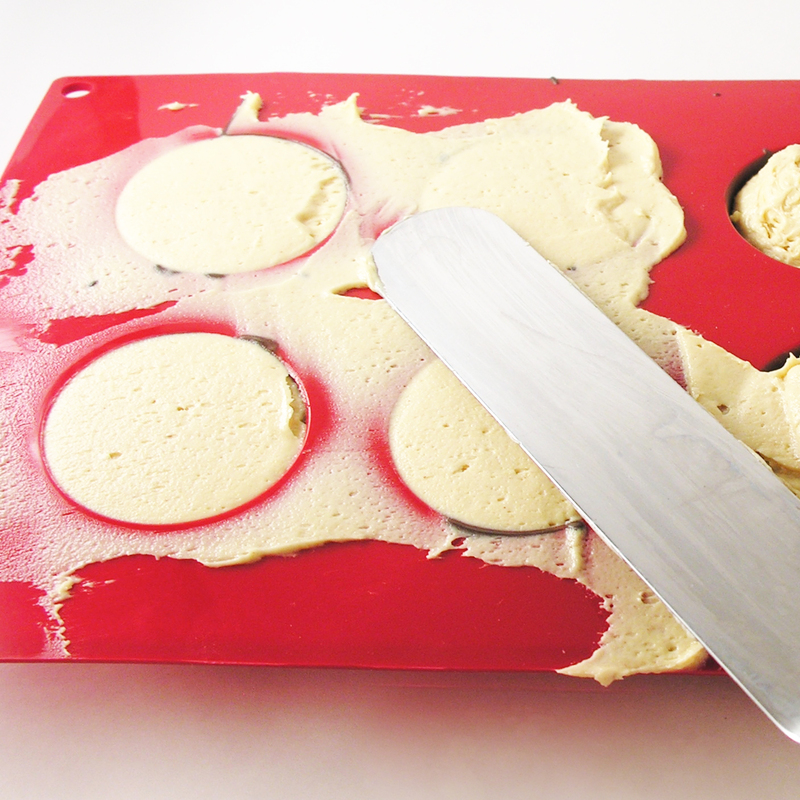 Smooth tops with a spatula. Refreeze for about 15 minutes- until filling is hardened. Gently peel mold away from bomb. Place each one on a plate covered in parchment paper and freeze until use. Bake at 350 degrees for 12-14 minutes or until a tooth pick inserted in the center comes out clean. While brownies bake, heat peanut butter chips and heavy cream in a microwave safe bowl in 30 second increments. Stir and repeat until smooth and creamy. When brownies are out of oven, carefully remove them from muffin tins and spoon warm ganache over warm brownies. 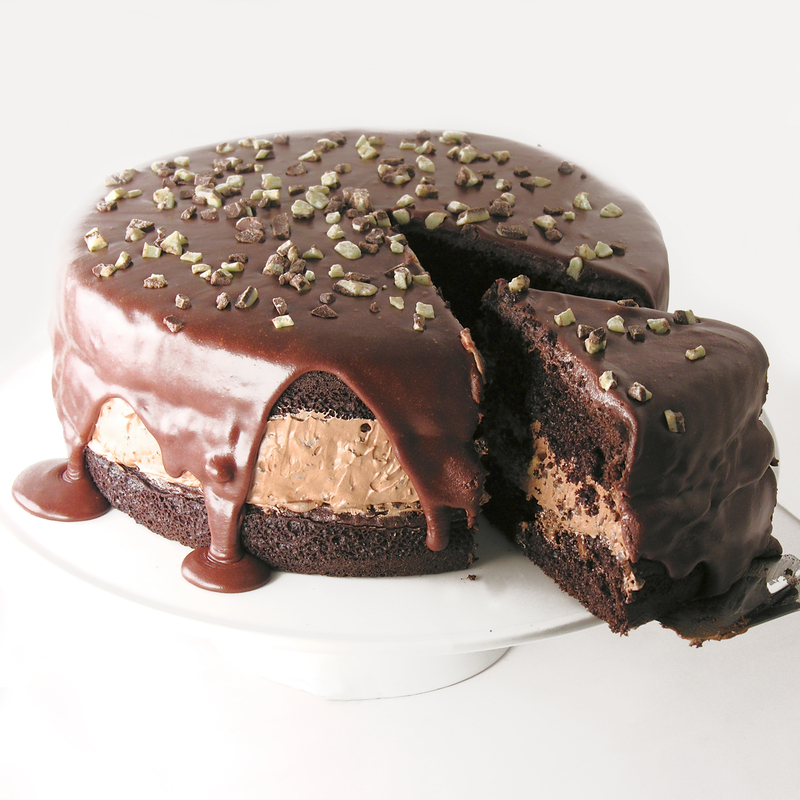 Allow both to cool until ganache is firm but still a bit sticky. 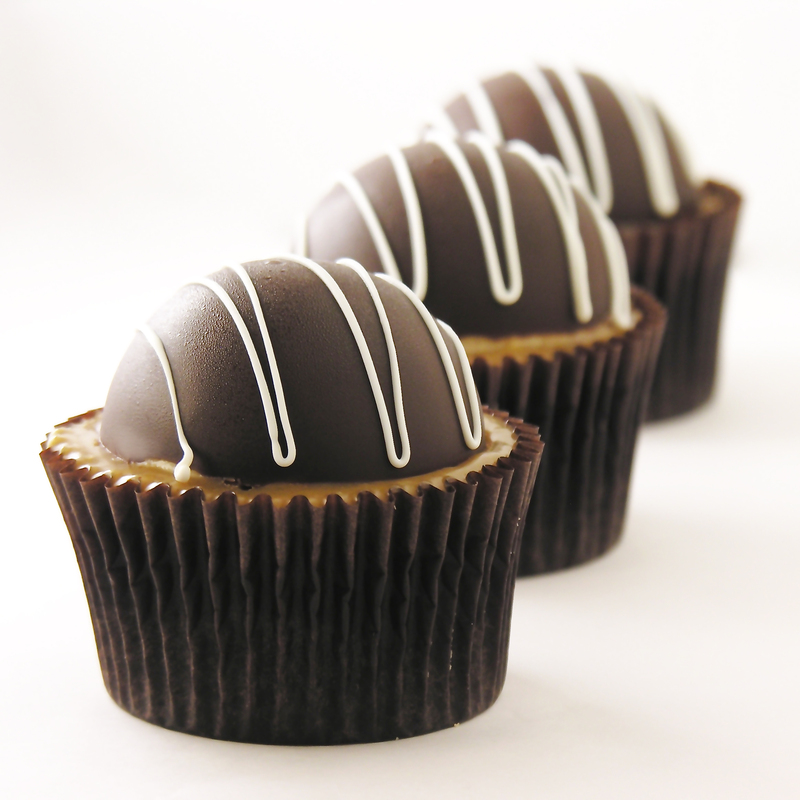 Gently place a chocolate bomb on top of each brownie, and press gently into ganache. Drizzle a bit of white chocolate on top if you desire. Keep refrigerated. Leave at room temperature for a few minutes to warm before serving. Yum. Posted in Brownies, Candy and tagged best, brownies, chocolate, chocolate bomb, chocolate dessert, dessert, fun, mousse, peanut butter, peanut butter bomb, peanut butter mousse, recipe, unique dessert, unique recipe. Bookmark the permalink. 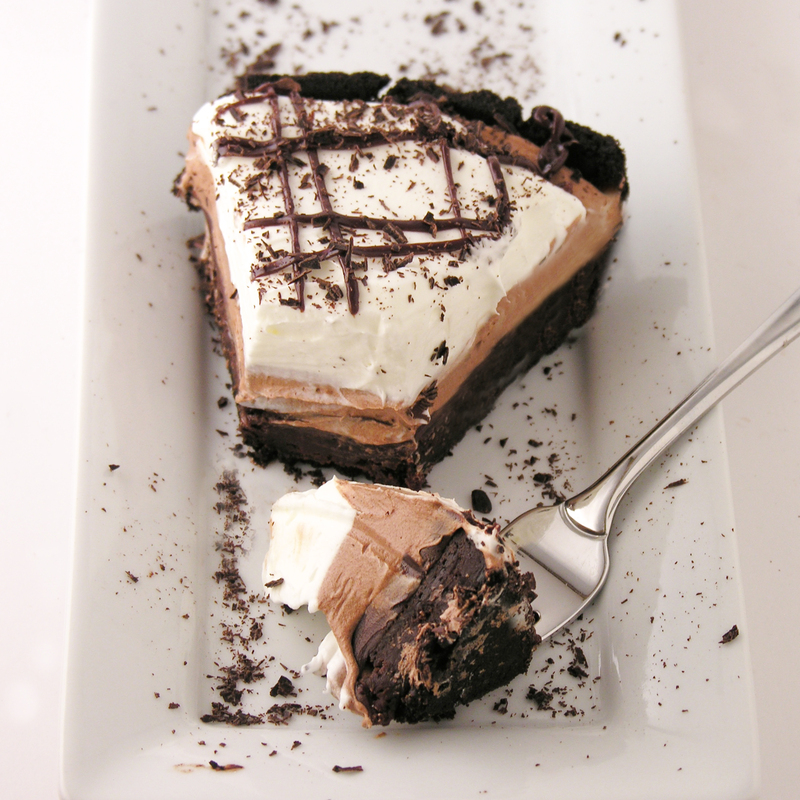 A layer of dense cake, topped with fudge, chocolate mousse and whipped cream. Yum. Life is mud right now. At least if you live in the midwest and regularly walk a dog. My pup’s little white paws and belly are just caked in mud after every trip down our walking trail. There’s one kind of mud I don’t mind though- the edible kind! 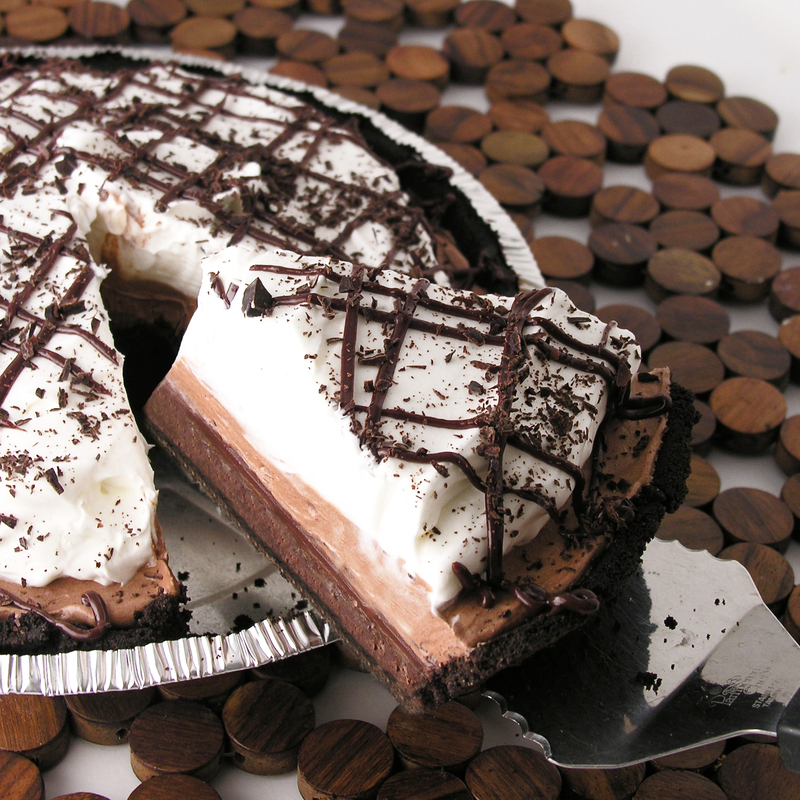 Have you ever tried Mississippi Mud pie? 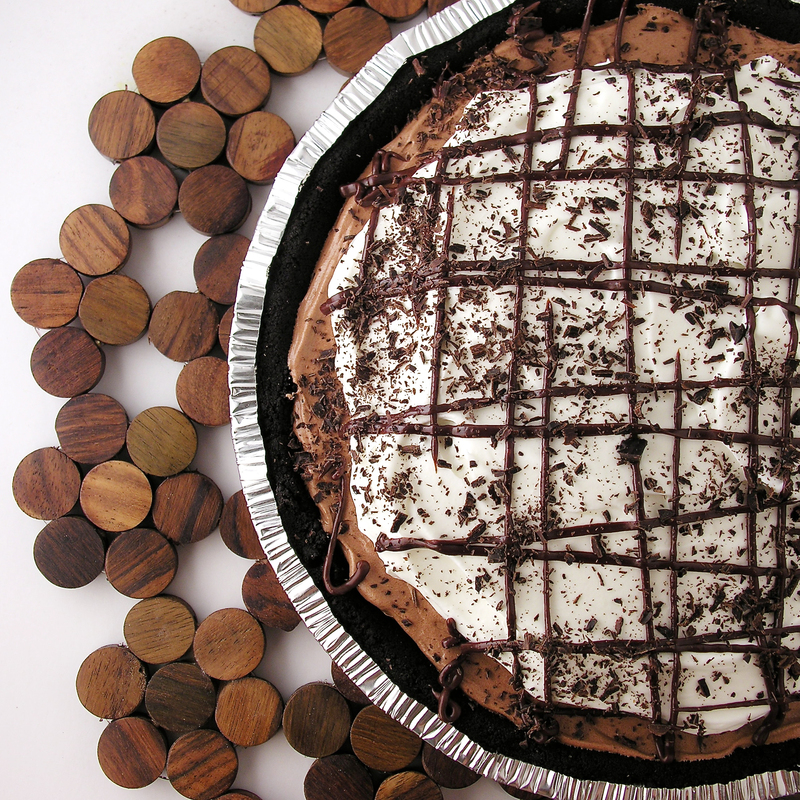 I feel like there’s not an “official” recipe for this pie- sometimes pudding, sometimes marshmallow…I just put several things I love into an Oreo crust and called it mud. And it is delicious. I really think you’ll like it! Melt chocolate chips in the microwave in 30 second increments, stirring in between until smooth. Add cream mixture to chocolate and blend well. Pour into crust and bake for 20 – 25 minutes until center is set. Cool completely. Melt remaining chocolate chips and cream together in microwave in 30 second increments, stirring between until melted and smooth. Pour all but about 1/8 cup over cooled cake and allow this layer to firm up (I placed it in the refrigerator while I made the remaining 2 layers). Pour remaining 1/8 cup into a small zip-top bag to use later for drizzle. Add all ingredients to mixing bowl and beat on high for 3-4 minutes until light and fluffy. Spoon on top of fudge layer and spread to edges. Spoon on top and spread to edges. 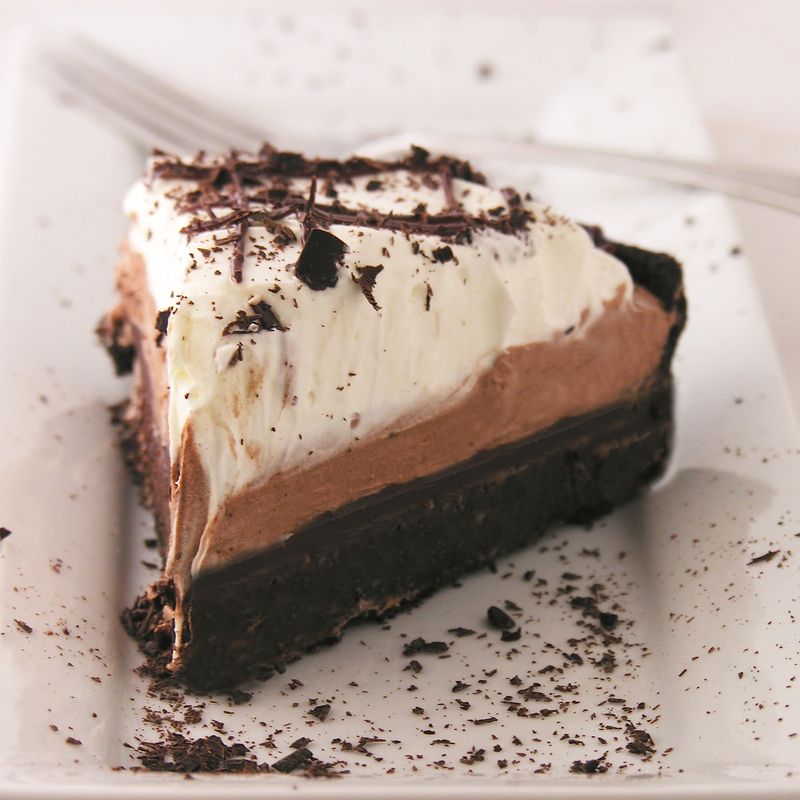 Is chocolate the only way to do dessert in your house? 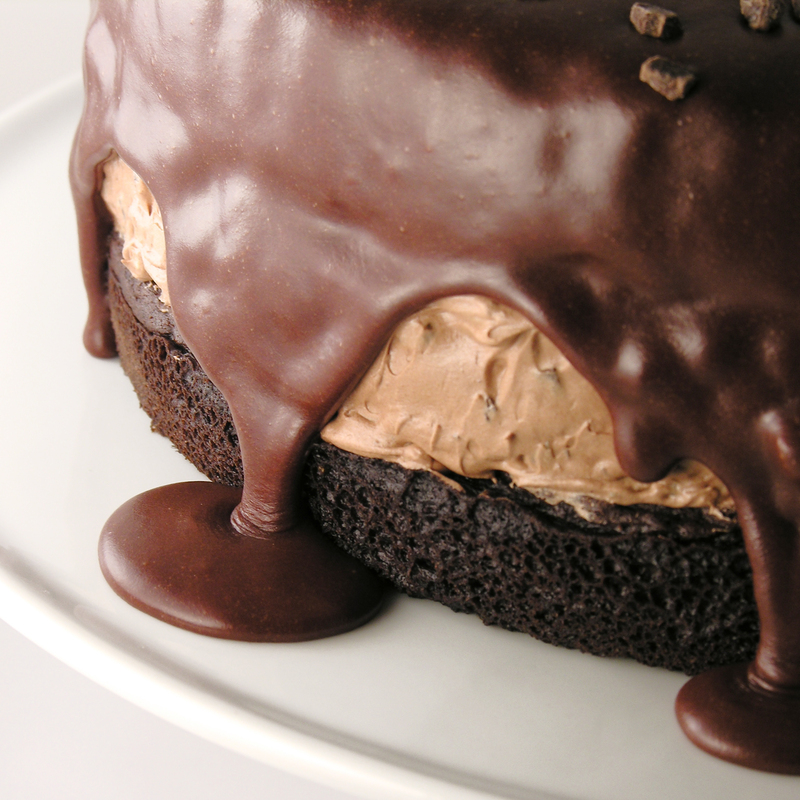 Here are some other incredible chocolate treats from Easybaked~ just click on the photo to see the recipe! 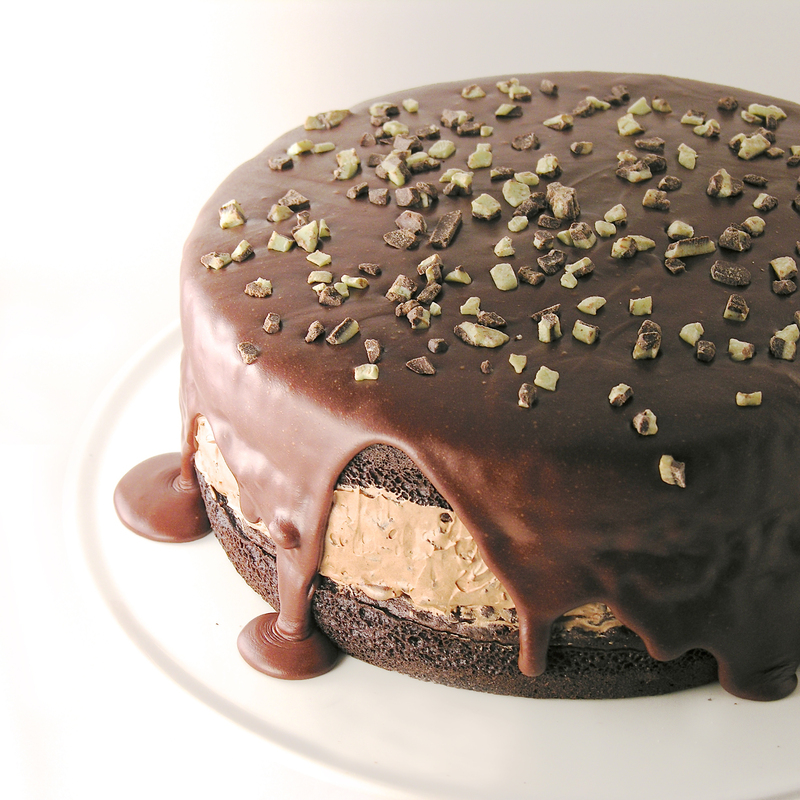 Posted in Cakes, Pies and tagged beautiful dessert, best, cake, chocolate, chocolate dessert, chocolate mousse, cream, dessert, fudge, fun, ganache, layered dessert, mississippi mud pie, mousse, mud pie, recipe, spring, whipped topping. Bookmark the permalink.